One of the gardening challenges we all face here in the Mid-South, is the abundance of heavy, slow draining, acidic, clay soil. To have the lush gardens we all dream about, we have to deal with this problem and make sure we provide the best environment for the plants we put in the ground. A phrase we use quite often is “amending the soil” which is changing the natural environment to accommodate different types of plants with different growth requirements. Most plants we find in our area grow best in soil that drains well and allows the root system to breathe. It sounds like a difficult task but is actually a simple process. Put a small amount of the amended soil mixture into the bottom of the hole and set your plant in on top. 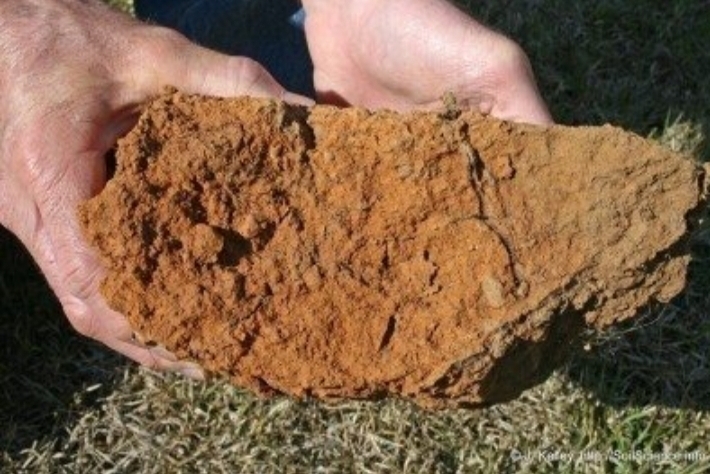 The top of the root ball should be an inch or two above grade, or above of the existing soil. This allows the root system to breathe should your garden become drenched by summer storms or accidental overwatering. Once you have your plant at the necessary height, fill the rest of the hole in with the soil mixture you made. Give your plant a good soaking and allow the soil to compact naturally. Keep filling the hole with final soil sloping downward from the top of the root ball. For the first year, feed with good organic fertilizers to help your new plants become established and use products like Ferti-lome Root Stimulator to promote root system expansion. Continuing to feed with organics will promote natural healthy growth with strong root development. Another area we address quite often is soil pH. There are plants that will thrive in naturally acidic soil. Our favorite azaleas, holly’s, and camilla’s are just a few. Most other plant perform better when the pH is closer to the mid-range or only slightly acidic. If you are not sure of the pH of your soil, bring us a sample and we can test it for you. It only takes a few minutes and we test free of charge. We require a 16oz. container packed full to the top with soil to get an accurate reading. Once we have the test results, we can recommend products that will make the necessary adjustments to keep your plants in an environment that will promote healthy growth. Keep your plants well watered but do not over water. Allowing the soil to slightly dry out between watering is critical. If your landscaping is under irrigation, the new additions to your garden will require more water than the well established ones, but once again, allow the soil to slightly dry out before watering again. We have experienced some of the wettest winters and springs on record the last couple of years which has caused plant failures due to overwatering. Aerating the soil and using Root Stimulators will help root systems recover, especially on those plants that are sensitive to excessive moisture.